Little Miss Muffin, sat on her tuffin, eating her oat-me-ul. 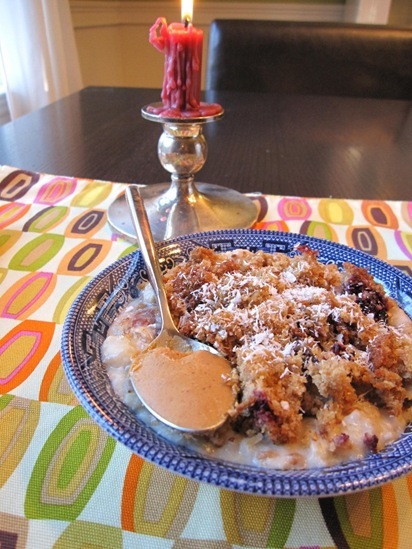 Look what I came down to this morning <3 Blackberry Bran! I noticed that I was less hungry this morning than usual. 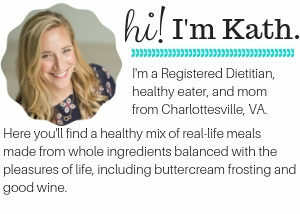 Having just read Intuitive Eating I guess I was supposed to naturally eat less today, but, uh, that didn’t happen Breakfast is my favorite time of day! Not really a lesson, but I took photos as I ground some new flax this morning. We keep the whole seeds in the freezer and I grind about half a cup at a time and keep that in the fridge for easy access. I started today as usual with yoga by candlelight. I got very confused though! I downloaded Power Vinyasa #2 but thought I was doing the pose guide for Power Vinyasa #1. Turns out I’d already done #2 before because I started to recognize the series! Guess I’ll save #1 for another day 🙂 My arms and quads are feeling the burn! I’ve got a handful of things to do today, but none are time sensitive so if I don’t finish them, it’s OK. Wish I could go shopping! I want to start decorating for our Valentine’s cocktail party! I hope there are no spiders lurking in my house today with all this muffin talk! Spiders—eek! You and me both, Kath! Haha!! Cute message 😀 And scrumptious muffin!! Yummy muffin! 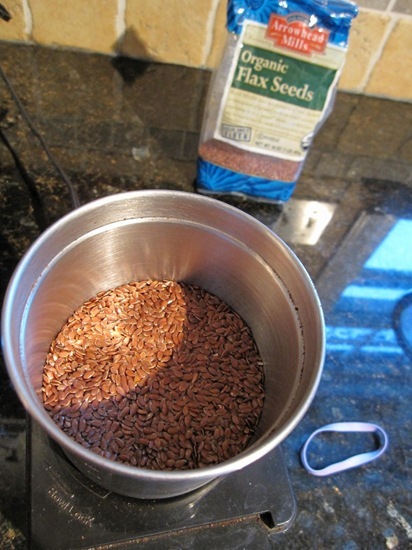 I want to try grinding my own flax! Have you even driven by a Sheetz and seen their signs for “Shmuffins & Shmiscuits?” So weird. You’ll add a “schm” to the beginning of everything for a few hours. 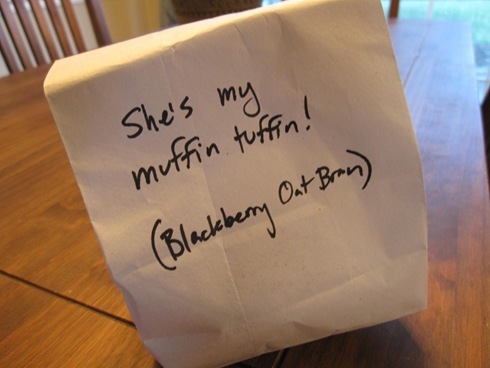 awww, the husband is so cute with that muffin surprise. excellent work incorporating it into the oatmeal, as usual. 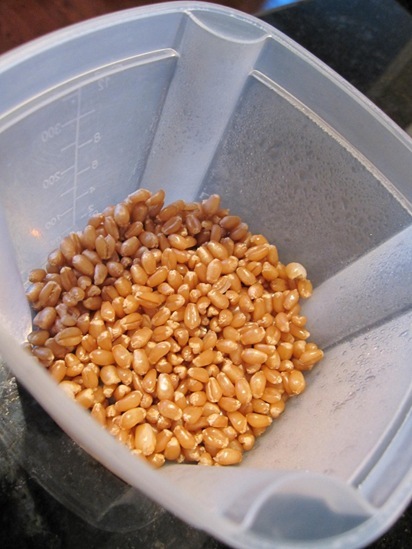 what kind of apparatus do you use for grinding your flax seeds? YUM! That looks like a fantastic breakfast! I’ve gotta start putting flax in stuff. It’s so satisfying and good for me! 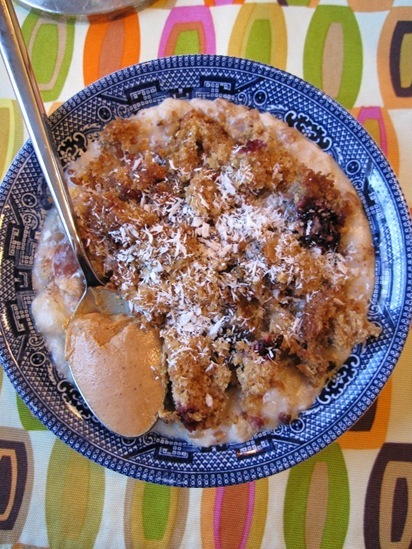 I’d never think to crumble a muffin into my breakfast cereal–great idea! Why don’t you just eat the muffin as it is? OMG, that muffin looks so good. I need to make muffins! The muffin looks so good! I love me some muffin tops. I’m reading Intuitive Reading right now and it’s a real eye-opener for me. I have a long way to go! Great bowl this morning, Kath. Just curious, are you giving the just yoga thing a shot? 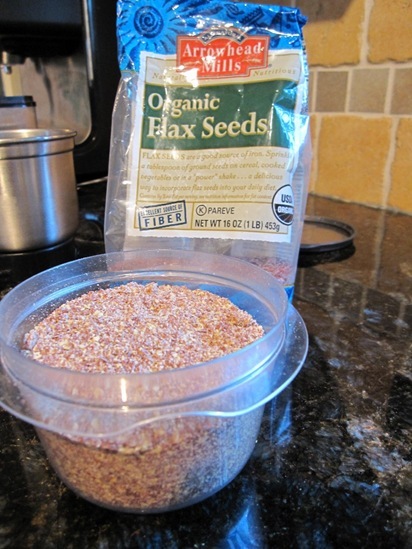 I need to get on grinding my flax…I like the batch idea. That muffin looks DELICIOUS! 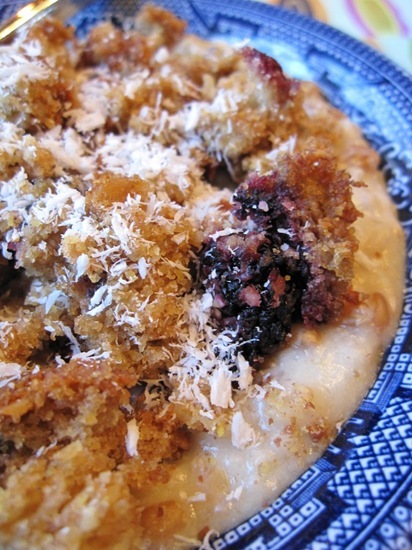 I love how you can see the huge chunks of blueberry! You guys are such a cute couple with the little suprises 🙂 The muffin looks delicious- blackberries are my favorite! i loved baked goods on oatmeal – something about the two textures together is awesome. Kath, curious as to your weekend activities. I know you said Charlotte has much to do, but I haven’t read (or maybe you just haven’t posted) attending museums, plays, shows, cultural festivals, fairs, gallery openings, jazz clubs, etc. It seems you choose running/exercise over “doing” something (like running, then walking half an hour here or there or another 2 miles here, then yoga). Am I wrong here? Yum! Blackberry sounds luscious! And in your oatmeal? Even better. 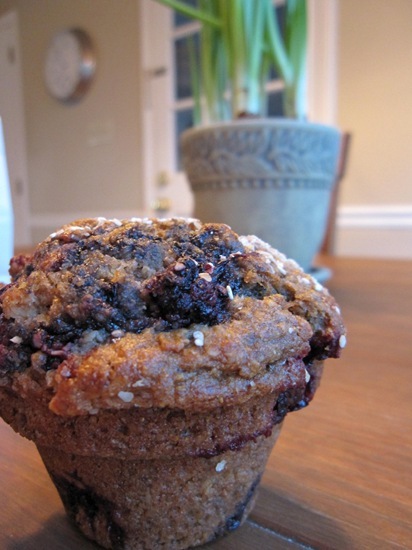 That is quite the muffin…wow. Your hubby is such a sweetpea! Yummm muffins! It looks so good! 1. That muffin looks awesome, and now I am hungry. 2. I did Lunar Flow last night, by candle light and it was so relaxing. 3. Peanut butter contest and my video debut.. check it: http://livewell360.com/2009/02/product-review-naturally-more-peanut-butter-and-contest/ …thought you might be intrigued. PB lovers unite! yummy muffin! can’t wait to read about the cocktail party! Yummy muffin! Hopefully there aren’t any spiders! Thanks for the flax lesson! 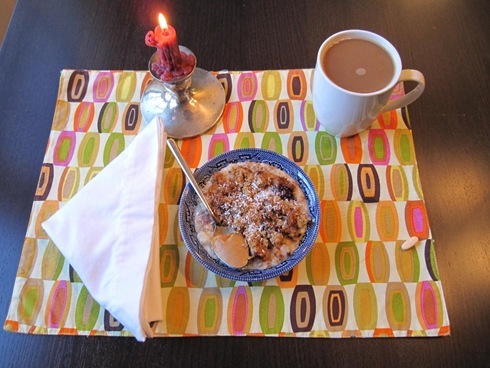 Good morning Kath – your breakfast looks delicious, as always! I’m curious, have you ever had your body fat percentage tested? I had mine done last night at my gym using a handheld electronic tested but I’m not sure how accurate its reading is compared to calipers or under-water methods. your breakfast looks so beautiful! its art, kath!!!!! Sometimes I’m not as hungry as usual when I eat breakfast, but I eat the same amount anyway. It’s the first meal of the day and you’re bound to need those calories! 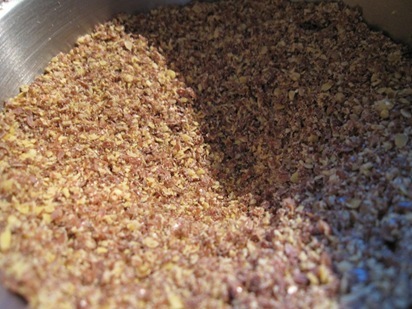 Yay for grind-ur-own flax!! Have a great day! Hi. I was curious about what your thoughts were on the intuitive eating book. I don’t know if you gave them in a place other than your home page which I ready regularly and enjoy. I read the book as well and although it makes good sense it is hard to put into practice. It really resonated with me when they said that a normal weight for a persons body may be heavier than their goal number. If your perfect number is not one that can be maintained without unhealthy or uncomfortable measures then what a trap and vicious cycle it becomes to try to attain it. It requires a big shift in thinking and work at changing old thoughts and patterns. Love to hear your thoughts if you have time. i wouldn’t mind being greeted with that in the morning! how delicious! That would be a coffee grinder. I probably use it fast enough, but thanks for the tip. Whole seeds are cheaper (or at least they were at my store) and I believe that waiting to grind them decreases oxidation, although it’s probably a negligible amount. If you don’t have a coffee grinder, I’d just buy them ground. Nope. I enjoy running and my “magazine time” too much. Yes, I’ve tested body fat with handheld, my scale and the Bod Pod. I don’t remember what the numbers were now, but I remember that my scale and the Bod Pod had the same reading +/- a tiny amount. The handheld thing at my gym was much more variable. Your hydration level can change those so much. 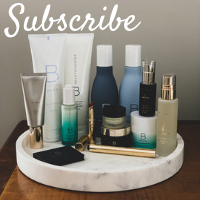 I owe you guys a review! It’s coming….keep reminding me! I agree with you though – it makes perfect sense but is indeed harder in practice. 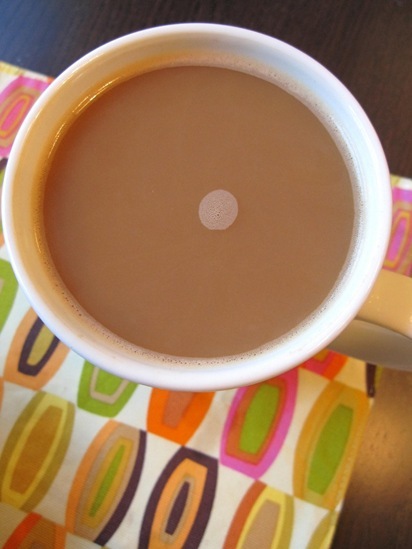 Love that placemat!! Crate & Barrel?